As measles cases rise in nearby states, Oklahoma schools are seeing increasing percentages of kindergarteners walk into their classrooms without required immunization shots, according to survey data from the Oklahoma State Department of Health. 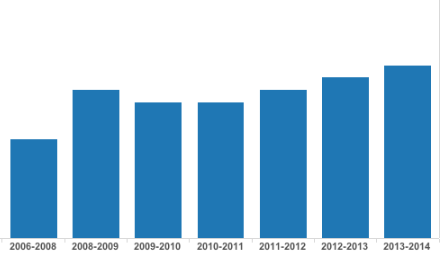 Records show the percentage of kindergarteners whose families have claimed an immunization exemption under state law doubled from 0.7 percent in the 2005-2006 school year to 1.4 percent, or at least 572 students, in 2013-2014. In Oklahoma City Public Schools, the state’s largest district with nearly 45,000 students, officials say it’s a matter time before measles arrives in the district, especially with outbreaks in neighboring Kansas, Texas and Missouri earlier this year. The district has been compiling a list of students with vaccination exemptions since March of last year and now has 142 students in all grades on the list. Tulsa Public Schools has 502 students on its exemption list and will also keep those students home should an outbreak occur, said Pam Butler, director of health services. Both districts would coordinate their response with state and county health departments. Oklahoma’s rate of immunization exemptions is relatively low. The state is tied for the 17th lowest exemption rate in the nation, according to the U.S. Centers for Disease Control and Prevention. But the recent increases reflect what many health experts say is a potentially dangerous and growing trend of parents refusing to vaccinate their children from illnesses such as measles, whooping cough, polio and meningitis. As of Aug. 8, a total of 593 cases and 18 outbreaks of measles had been reported nationwide this year, according to the CDC. The number of cases is the highest since at least 2000, when the U.S. declared measles eliminated. Communities with low immunization rates are more at risk of an outbreak. There has been controversy over districts requiring unvaccinated students to stay home from school during an outbreak. In June, a federal judge upheld a stay-home policy at New York City Public Schools during a measles outbreak. Parents of children forced to stay home claimed the district and state violated their constitutional rights to religious protection, equal protection under the law, and due process. The anti-vaccination movement has expanded in recent years, leading to the reemergence of diseases once thought eradicated from the United States. 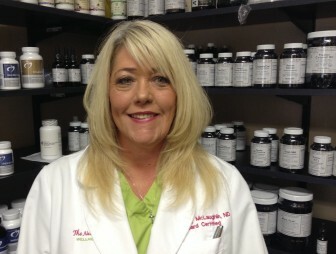 Tracey McLaughlin, a naturopathic doctor in Oklahoma City, said she agrees with keeping unimmunized children out of school in the event of an outbreak, but said vaccinations are not the only way to protect from disease. McLaughlin, who did not immunize her son as a child and said her granddaughter also will likely not be immunized, said she pushes patients to adopt healthy diet and exercise routine to boost their immune system. McLaughlin, who does not offer immunizations, also urges parents to do their research before deciding whether to vaccinate their children. State and district health officials are quick to say the best protection against diseases such as measles and polio is to get vaccinated. Oklahoma law requires students to have certain immunizations before going to school, whether it’s public, private or home school. Immunizations include tetanus, diphtheria, polio and measles, among others. Oklahoma does grant immunization exemptions for medical reasons, religious beliefs or philosophical reasons. It is one of 19 states that allow the philosophical exemption. In 2012-2013, 73 percent of the state’s exemptions were for philosophical reasons, according to the CDC. More recent data is not available yet. Many philosophical exemptions come from people who fear immunizations cause adverse side effects such as autism, said Linstead, state immunization director. Those fears continue to spread despite scientific research finding no correlation. In Tulsa, Butler said Tulsa Public Schools does not track which kind of exemptions students have.